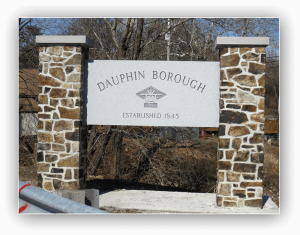 Dauphin Borough Council and the Mayor welcomes you to our website. Please browse our site and contact us on the contact page. 7:00 p.m. at 200 Church Street. Please contact the Borough at 717-921-2633 if you would like to be placed on the agenda. For highway, snow emergencies and water problems, please contact Joseph Wynn at 717-678-1454. For sewer emergencies and grinder pump problems, please call 717-421-1228.